Thomas Wood Holgate (1869-1954) was born in Lancashire and moved to London to study art. His pictures were much exhibited in the years before 1914 and in London and Cornwall thereafter. 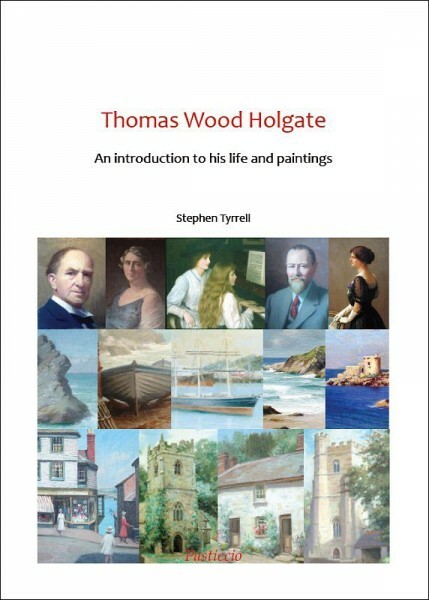 This book provides some idea of the scope and quality of paintings by T W Holgate, establishes a list of his recorded work and contributes to the background needed for assessment of his artistic achievement. Publication of this book coincided with an exhibition of the works of Thomas W Holgate at the Falmouth Art Gallery in 2013. 102 colour illustrations with 64 pages in full colour. Copyright 2019. Pasticcio, a trading part of F.Smyth-Tyrrell & Co. Ltd. Registered in England number 01532428.